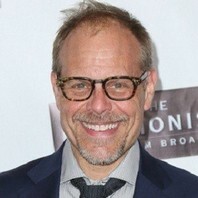 How much is Alton Brown worth? @jettila @guarnaschelli Wait...I thought you were pro American cheese!! @jettila @guarnaschelli @carlruiz @bflay @chefanneburrell @gzchef @duffgoldman Absolutely. It may not be cheese but by God, it’s American! @BMWMotorrad @jskmoto @joeseye Dear Lord yes. And it's even a boxer.